In the present study, novel heterogeneous analogues of lanthanide triflates [trifluoromethanesulfonates; Ln(SO3CF3)3 or Ln(OTf)3] were proposed as acidic catalysts for fine organic synthesis. A series of supported Ln3+ and Ln3+SFP systems (SFP—sulfonated fluoropolymer; Ln = La, Pr, Eu, Tm, Yb) were synthesized and tested in the acylation of alcohols with acetic acid. 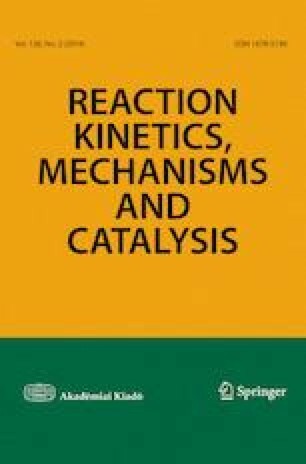 The synthesized systems were found to be stable under the reaction conditions and showed the ability for catalytic recycling. It was shown that high texture characteristics of the SFP/CNF samples have also a great impact on the efficiency of the catalytic process. For example, Ln3+SFP/CNF systems exhibit significantly higher catalytic activity if compare with the unsupported samples (Ln3+SFP) or the sample without sulfated fluoropolymer (CNF-SO3−Ln3+). It was found that Ln-composite contains blocks of SFP and thin SFP layer over the surface of CNF fibers. The lanthanide ions are evenly distributed within the polymer structure. Among the studied lanthanides, Yb-containing systems were found to be the most active one. The authors are grateful to Yu.V. Larychev and A.V. Nartova (SAXS, XPS), A.V. Ishchenko (TEM) and A.R. Tsygankova (AAS). This work was performed within Government Order for BIC (Project No. AAAA-A17-117041710086-6).